Made of a resilient FleXQ material, the XQISIT Flex Case offers sturdy protection for your Samsung Galaxy S10e against everyday bumps and scratches. The design-friendly transparent case offers your Samsung Galaxy S10e strong all-round protection without compromising its good looks. Thanks to its anti-UV-yellowing technology, the XQISIT Flex Case will stay crystal clear for longer. 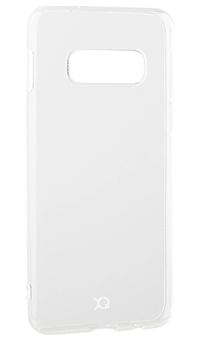 Thanks to the dotted inner texture (designed to prevent the case from sticking), you can apply or remove your XQISIT Flex Case to your Samsung Galaxy S10e effortlessly.